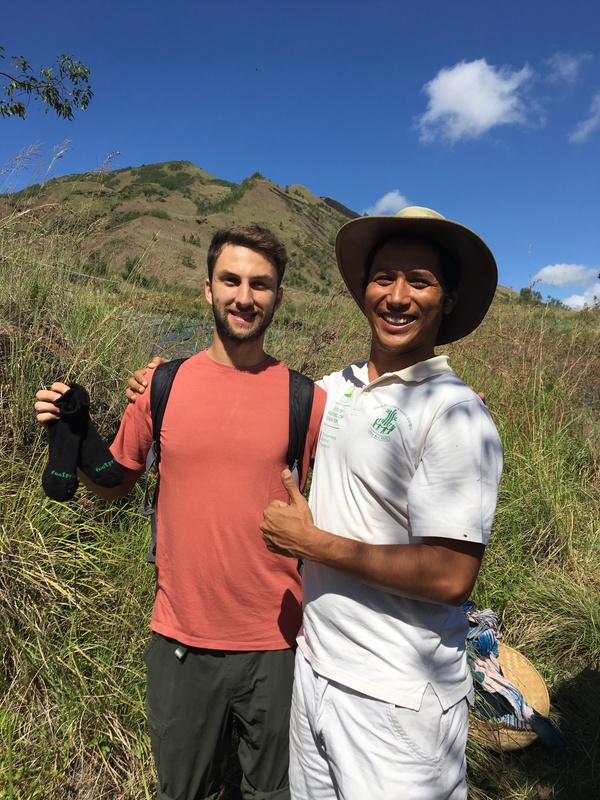 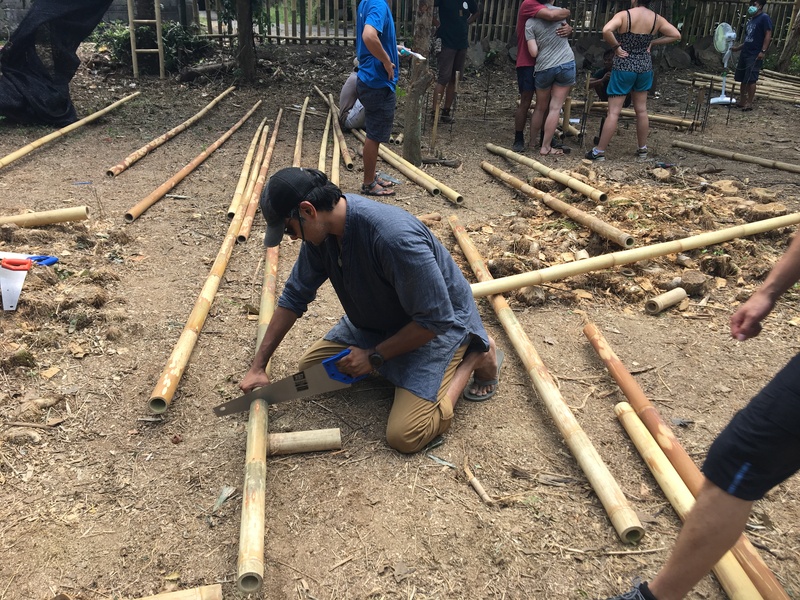 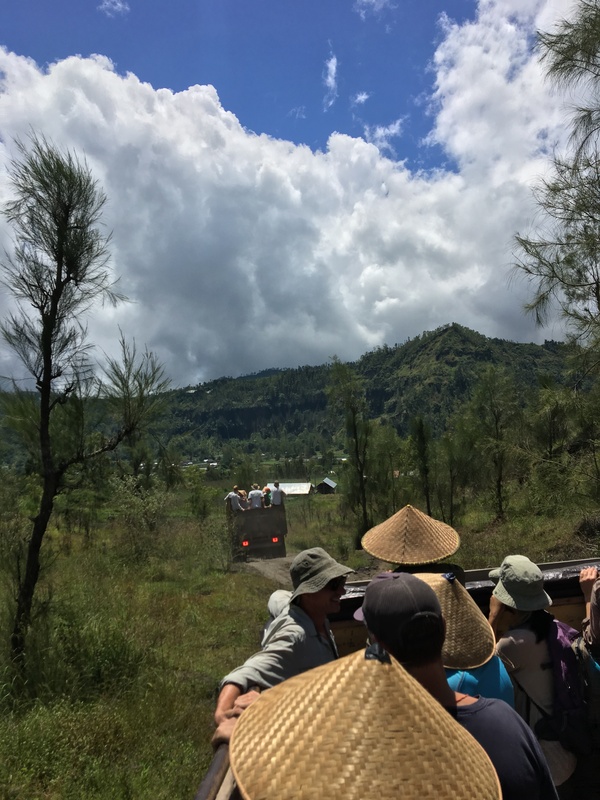 Last month I joined forty amazing people from twenty-one different countries in the jungle of Bali, Indonesia to participate in a twelve day bamboo workshop. 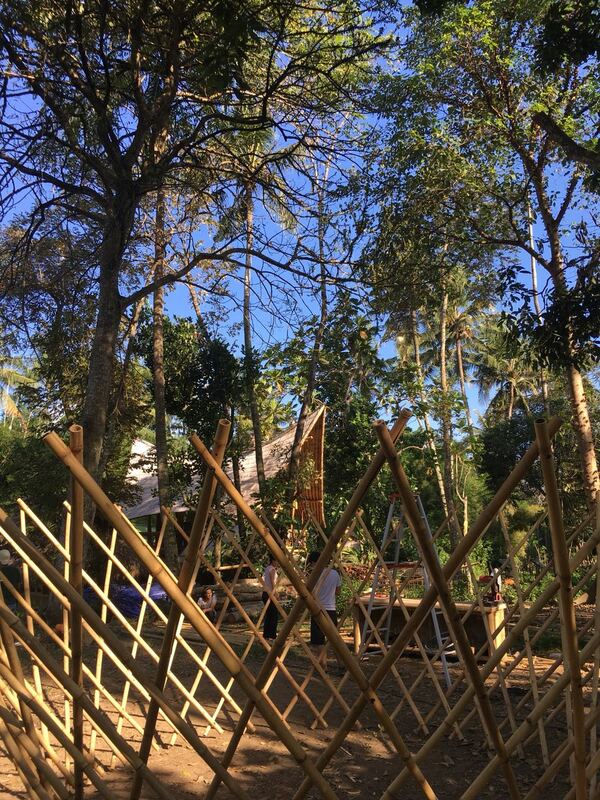 We arrived eager to learn and share with one another and left enriched with a dynamic and immersive bamboo experience. 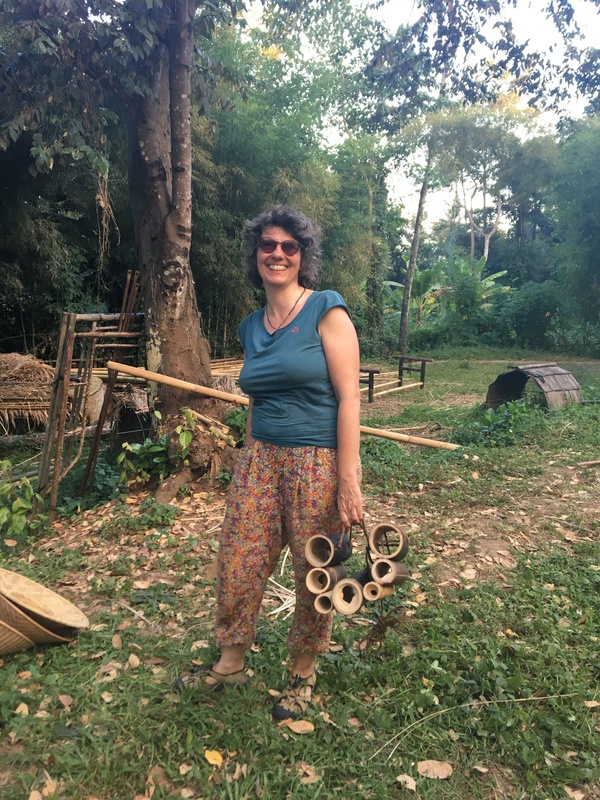 The staff at Bamboo U brought incredible knowledge, passion, and diverse backgrounds to the workshop. 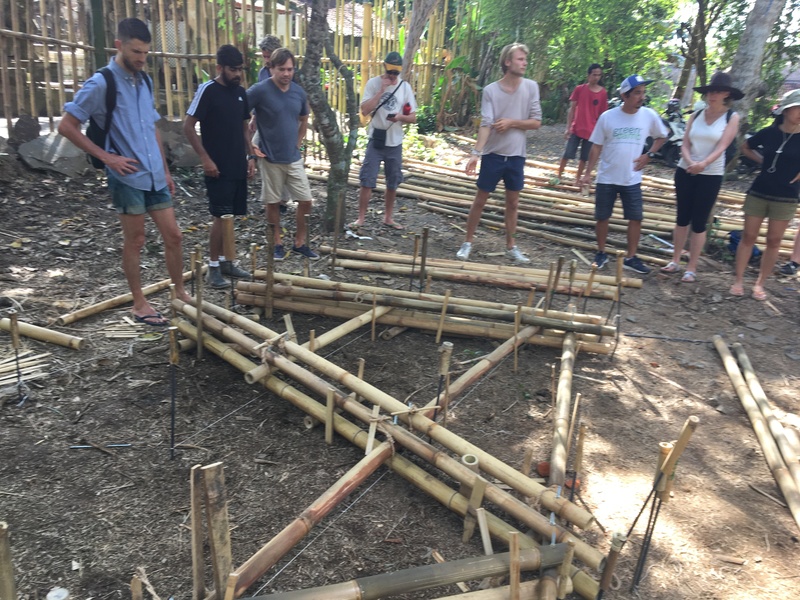 Thank you Orin Hardy (director), Jules de Laage (architect), Jorg Stamm (carpenter/bamboo builder), Arief Abiek (founder of 1,000 Bamboo Villages initiative), Moko (bamboo craftsman), Scott Vandervoort (design specialist), Neil Thomas (engineer), Elora Hardy, Ewe Jin Low, all my fellow participants, and everyone else present for the energy and passion you brought to Bamboo U April 2018. 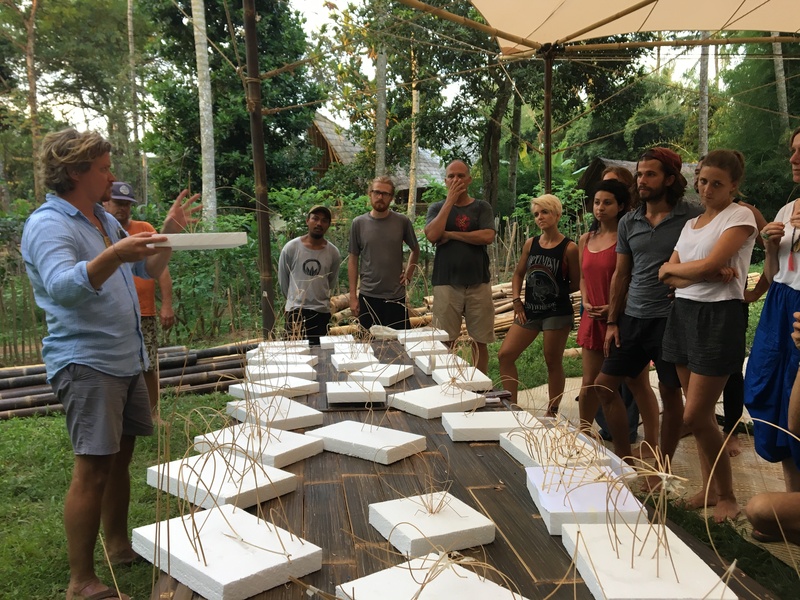 The group was comprised of architects, artists, engineers, designers, entrepreneurs and more. 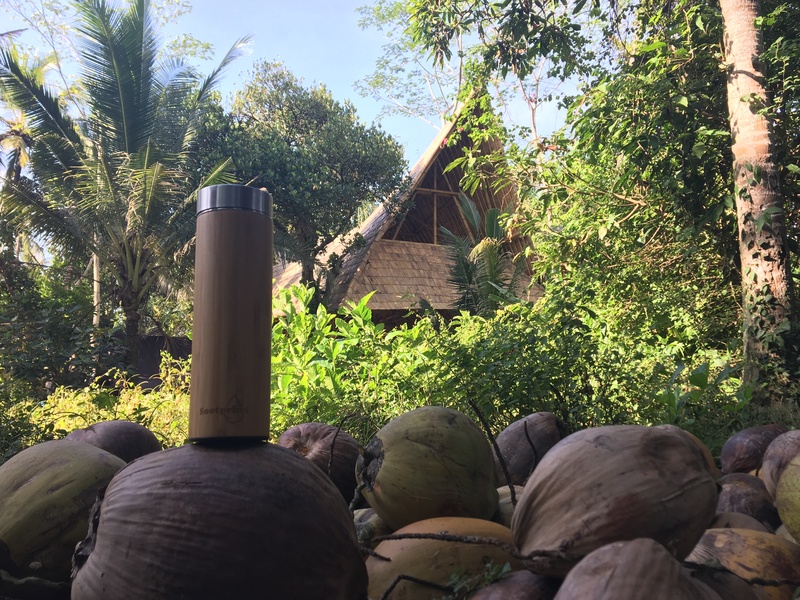 We had differing interests with bamboo, but all of us came because we were drawn by the magical designs and immense scale of The Green School and Green Village. 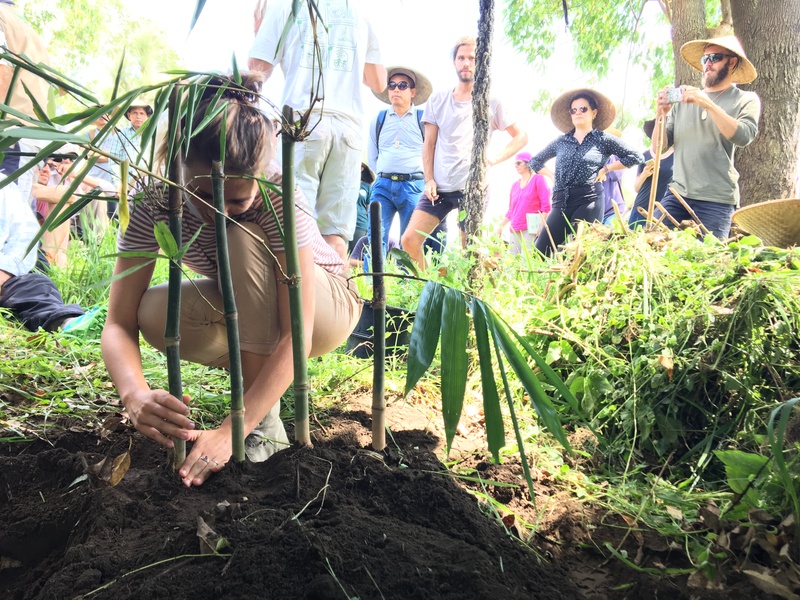 We took a trip to be a part of Arief Babik's 1,000 Bamboo Villages campaign to restore degraded land in Indonesia by tactfully planting bamboo. 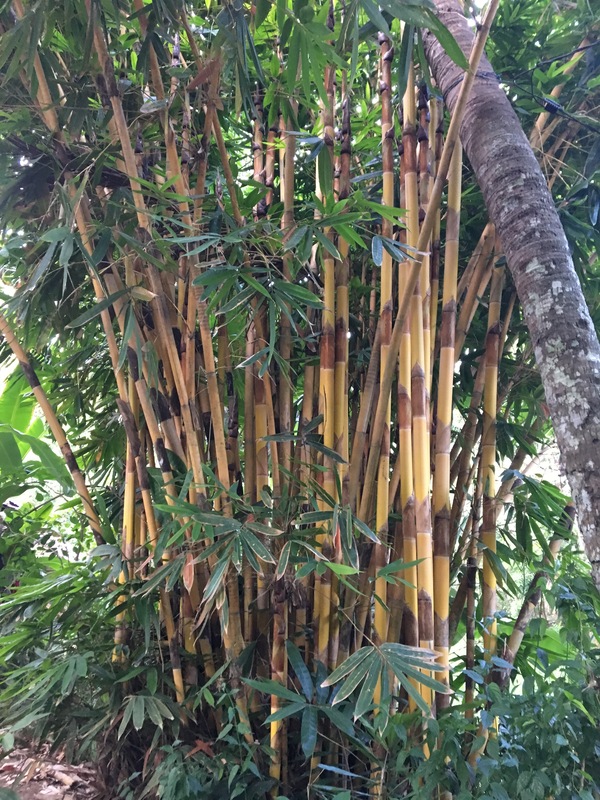 Among other ecological benefits, bamboo can balance the water cycle that has been adversely affected by climate change by storing massive amounts of water in the rainy season and releasing that water back into the soil in the dry seasons. 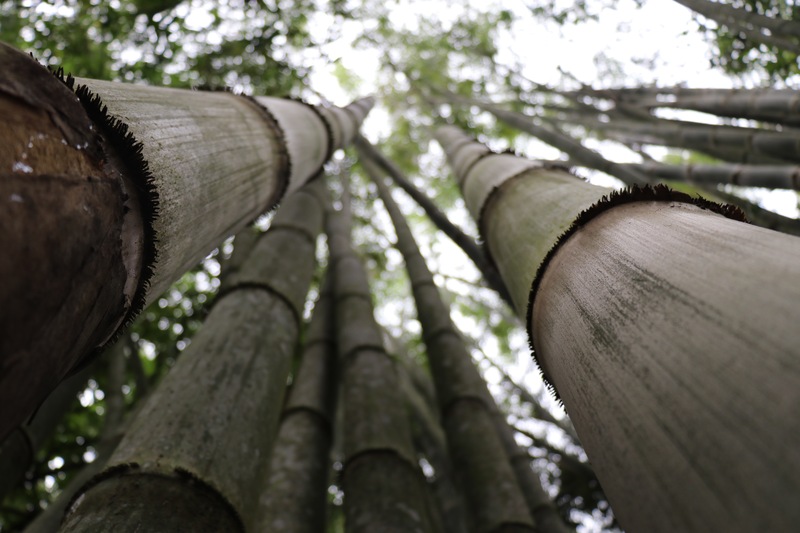 Below you can see pictures of where we planted bamboo at one of the 1,000 Bamboo Villages land restoration sites. 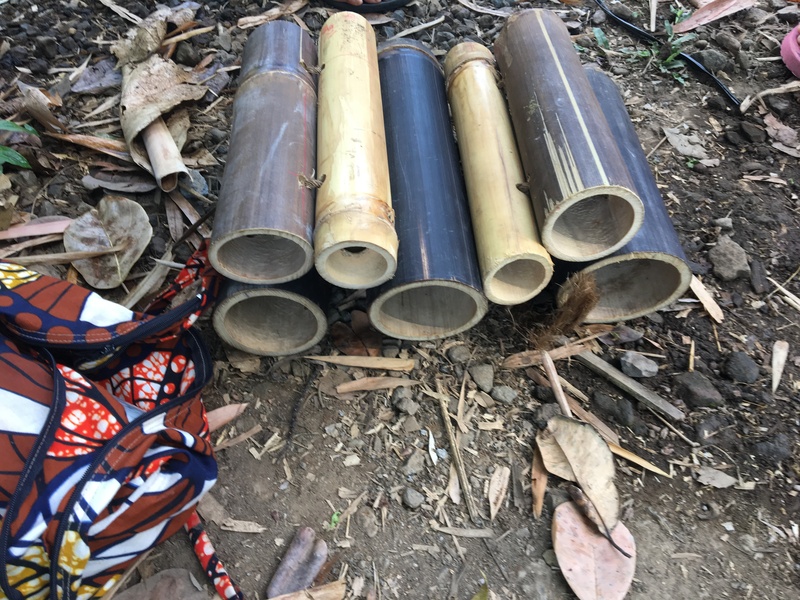 Part of Arief's plan for 1,000 Bamboo Villages is to routinely cut and sell the raw bamboo to bamboo viscose and other bamboo fiber producers. 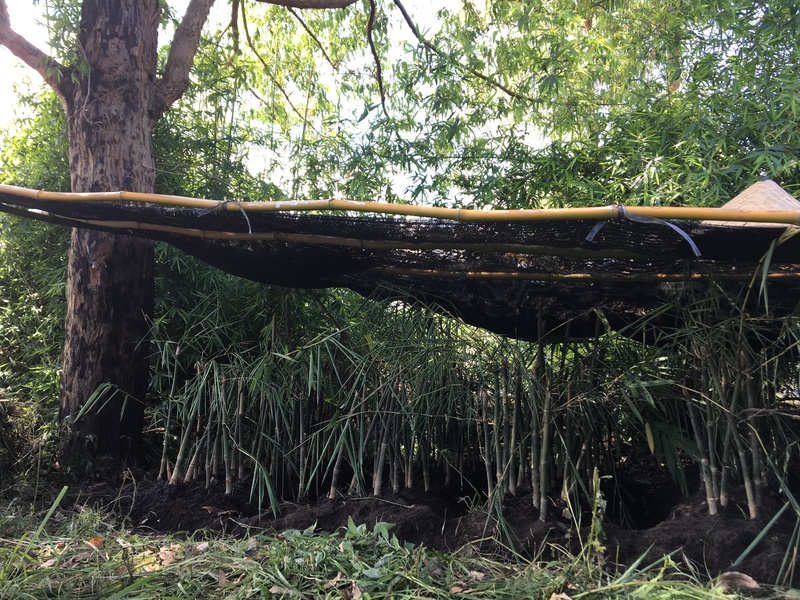 This is a sustainable model of bamboo fiber production where the farmers benefit and bamboo is planted to help restore degraded land. 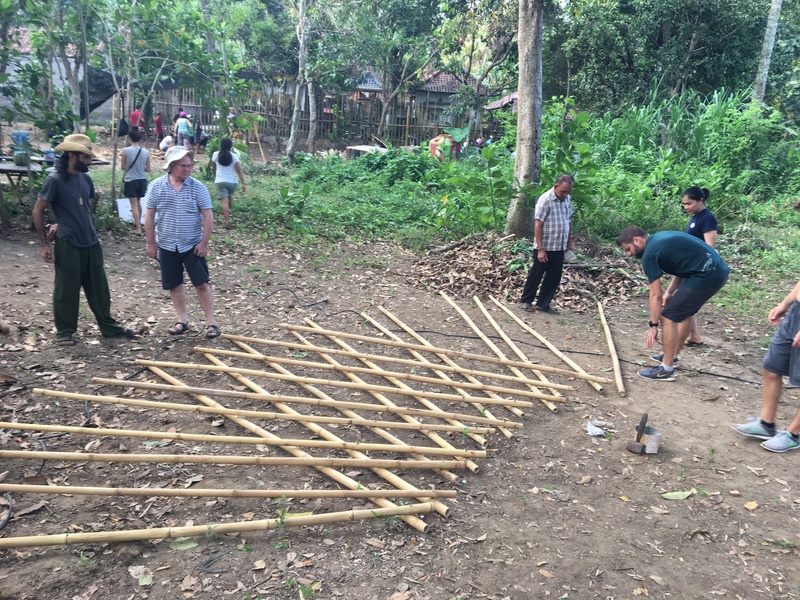 The innovation station led by Scott Vandervoort was full of creative ideas. 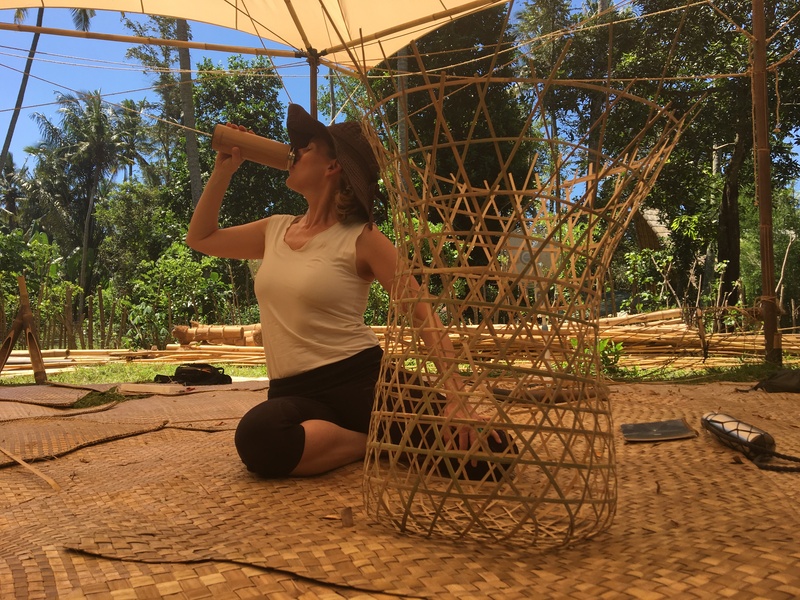 Alyssa from Los Angeles taking a hydration break from weaving this bamboo basket. 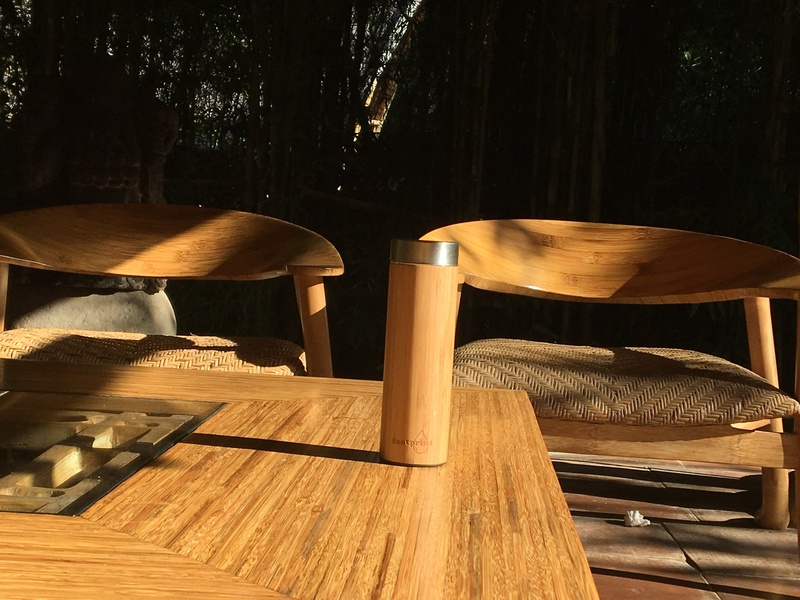 Mara from Munich, Germany made this groovy portable stool. 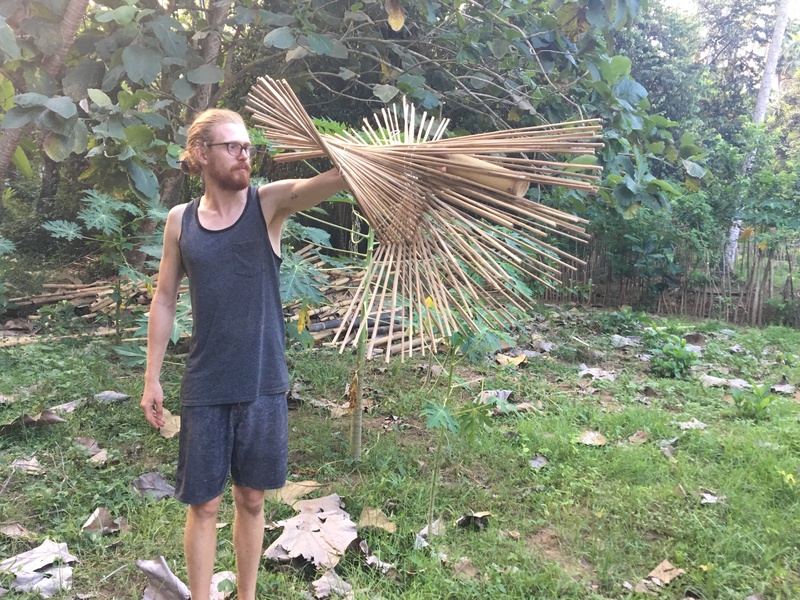 Kevin from Washington, USA. 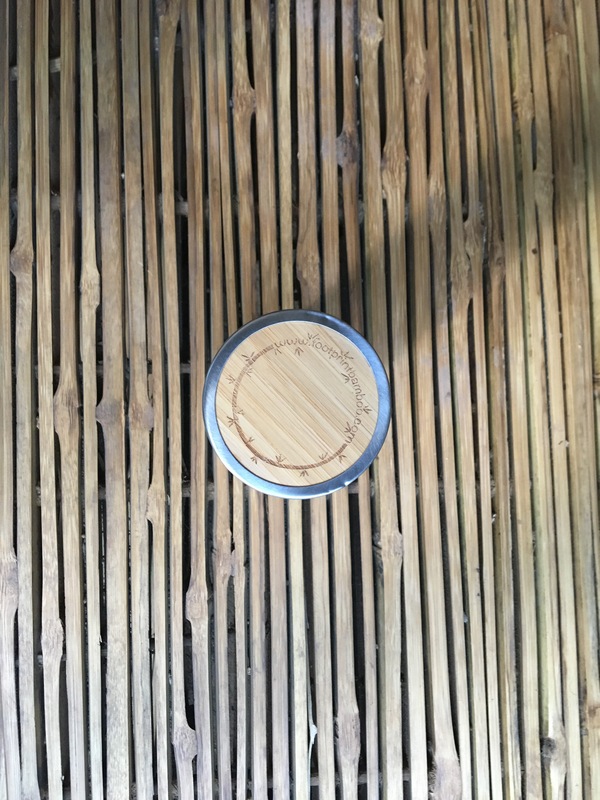 working on a lamp shade. 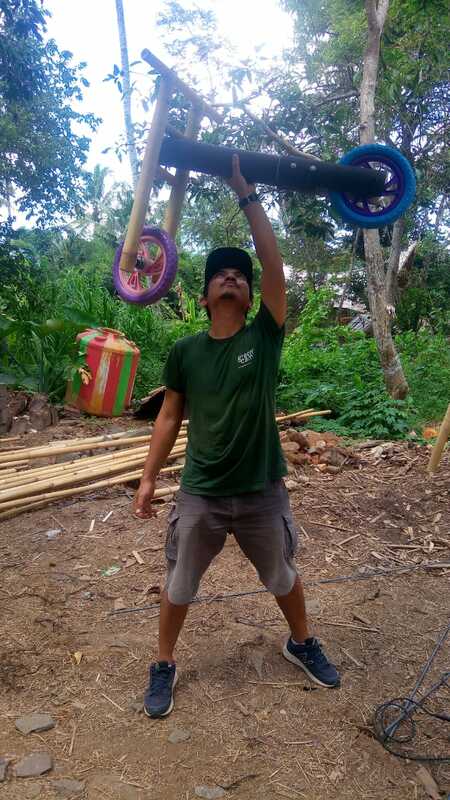 Furley from Indonesia made this bike for his 3 year old son. 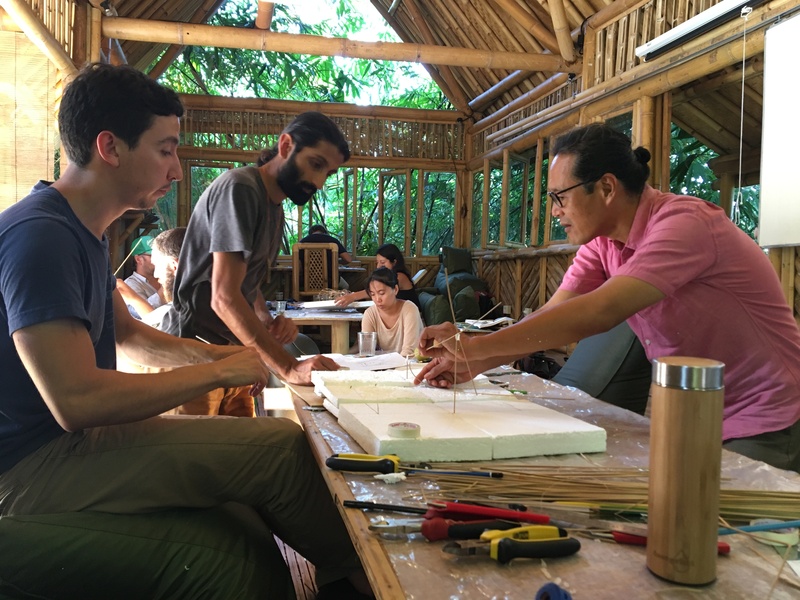 During a two-day architecture design station I was a part of a team led by Muffadal from Chicago and lead architect Santiago from Columbia. 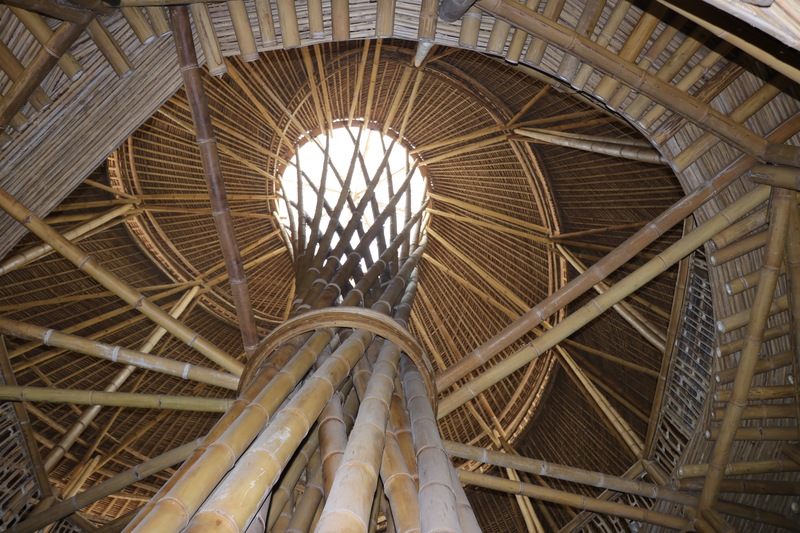 We designed a grand reception building that would inspire visitors with an amazing view and massive sprawling bamboo poles. 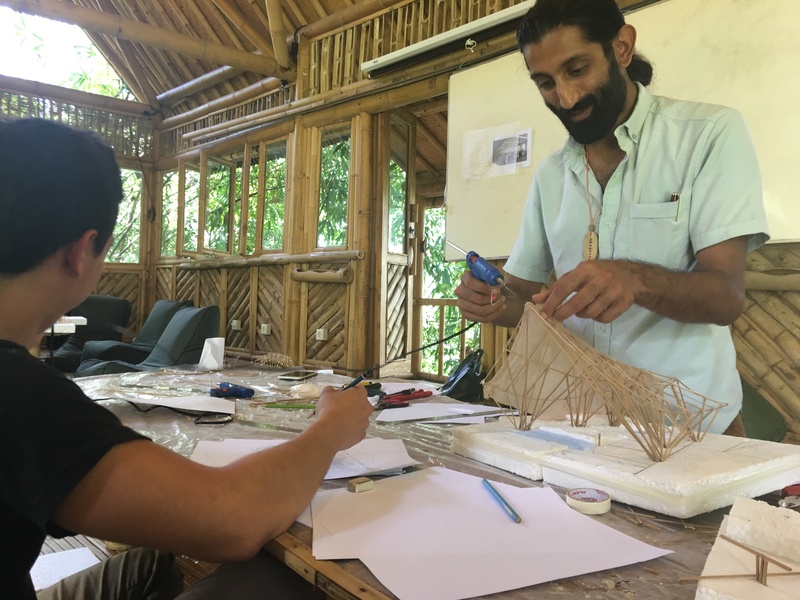 Muffadal has plans to pursue the building of this design at his hostel called Casa de Oro in Nicaragua. 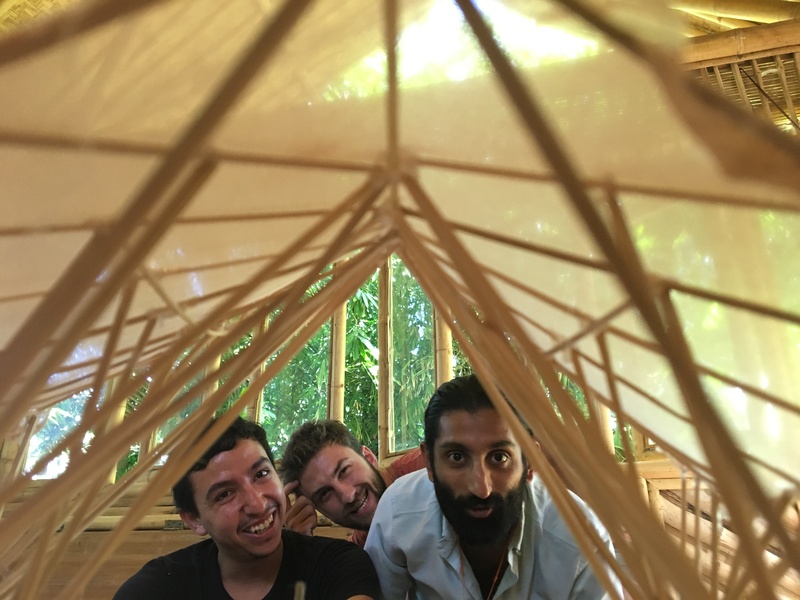 Pictured below: Muffadal, Santiago, and Ibuku lead Architect Ewe Jin Low. 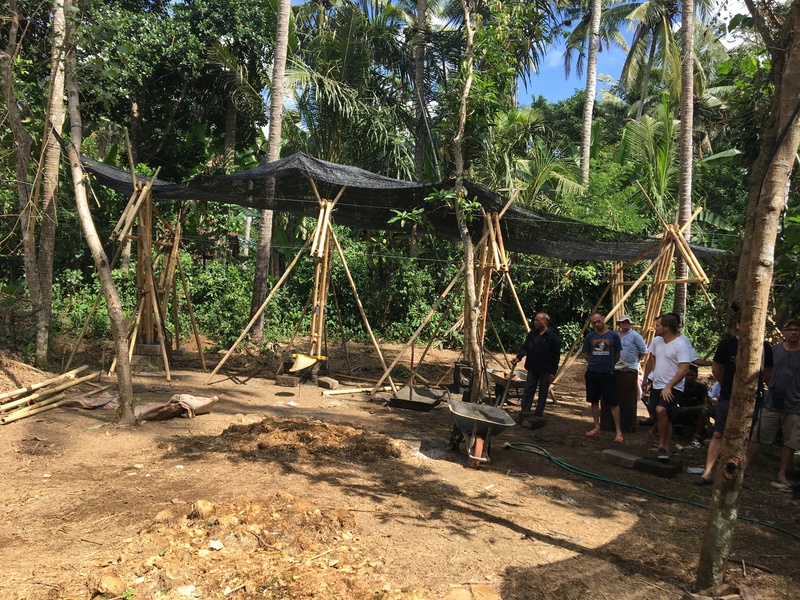 The beginning of the portable bamboo yurt designed by Jorg Stamm. 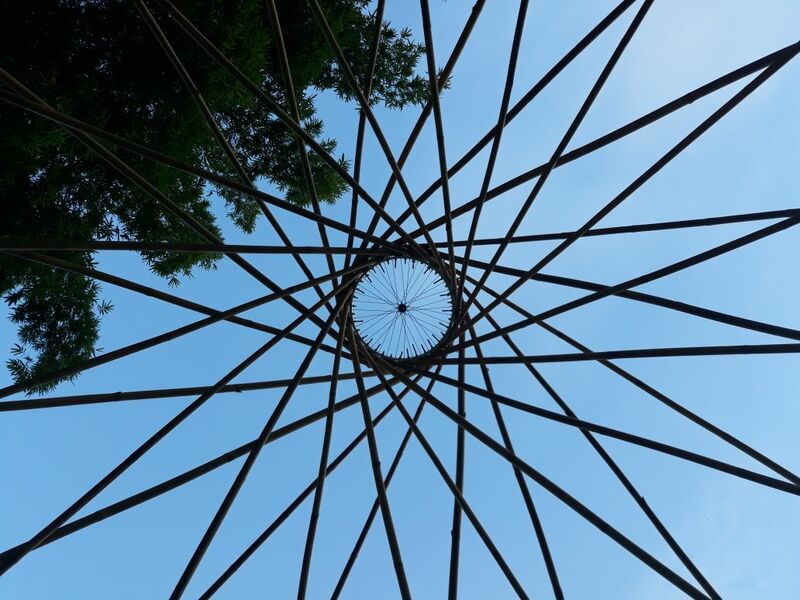 Please watch the video of our transport of the yurt at the bottom of the yurt photos. 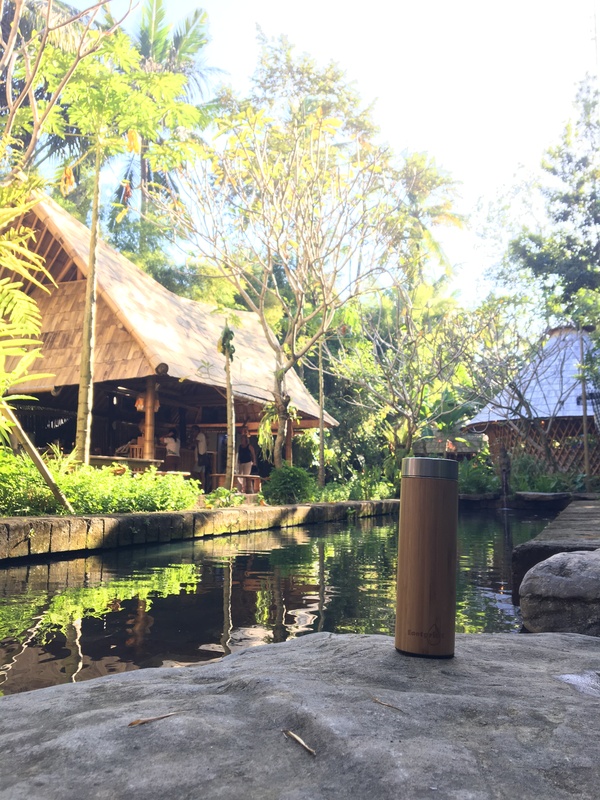 Moko (see center of below picture) from Indonesia, a master bamboo craftsman from Indonesia, has been working with bamboo for decades. 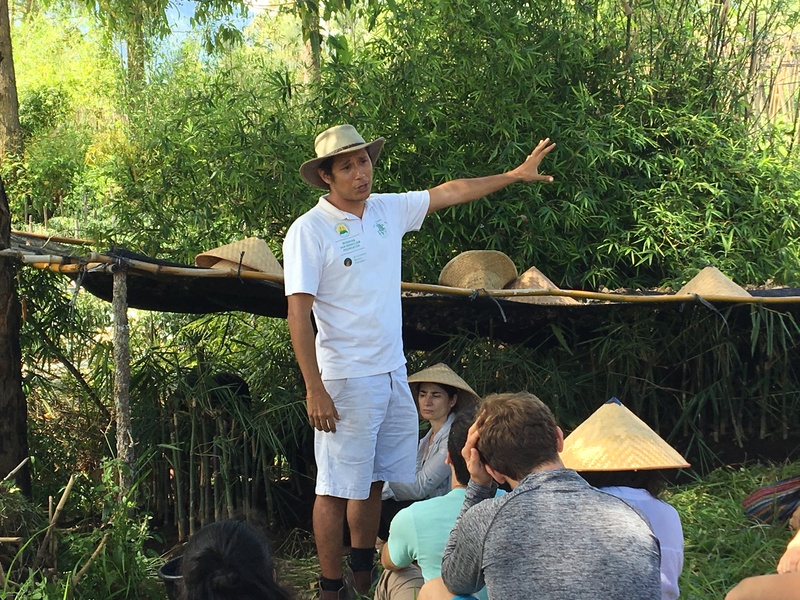 He taught us how to cut bamboo and how to carve bamboo for bamboo joinery called a "fish-mouth". 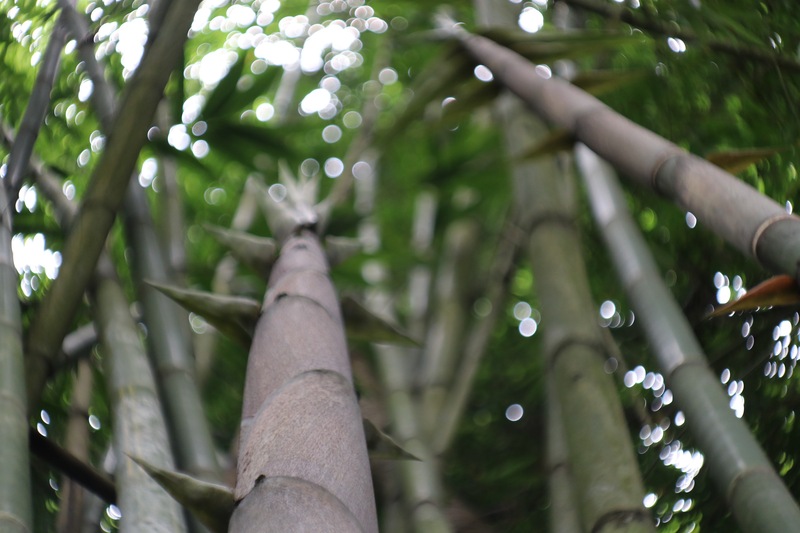 One observer noted that the sound of his knife carving the bamboo created a soothing melody. 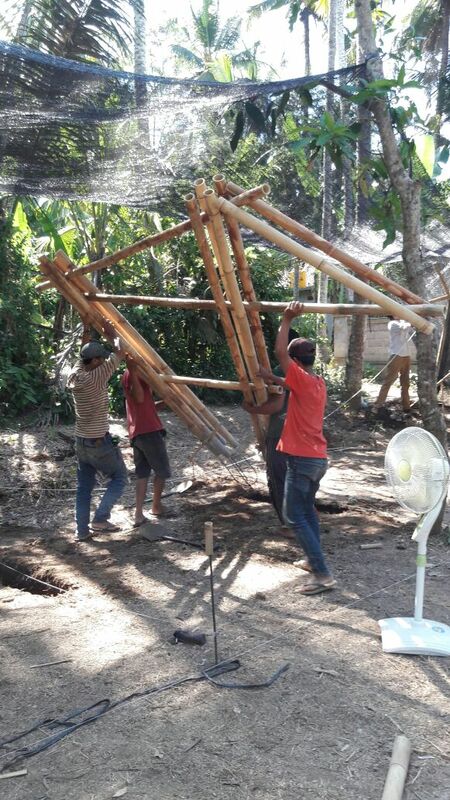 The frame shown below is the initial development of the parking structure built by our Bamboo U group. 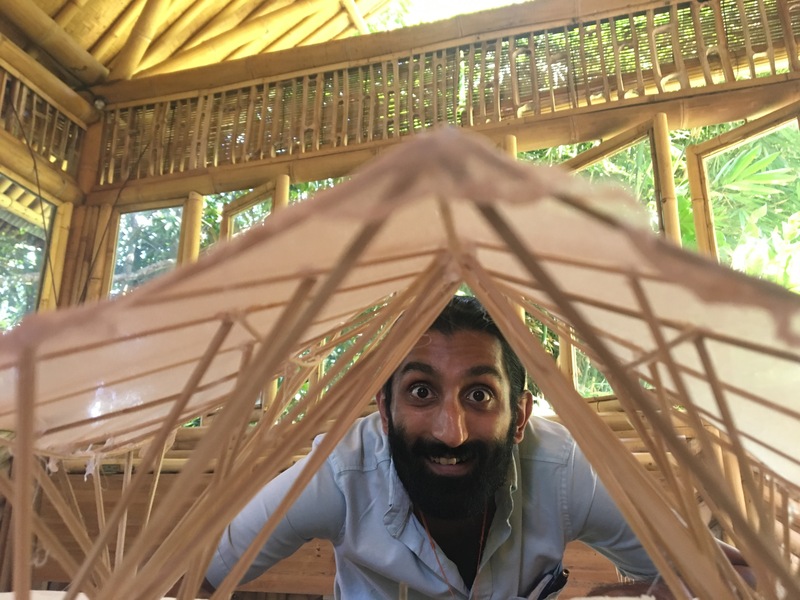 Sriram from India (below) became a leader of the parking lot structure project. 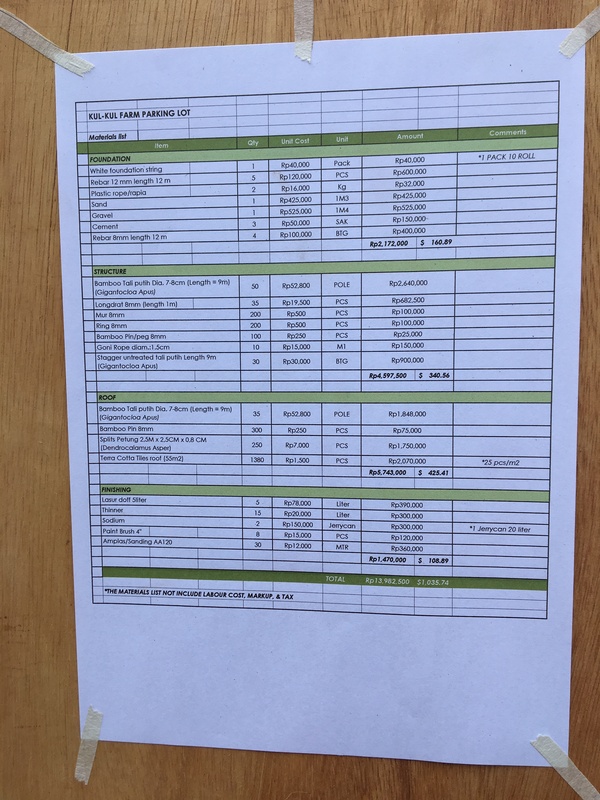 Below: price list of raw expenses of the materials used to build the parking lot structure shown above. 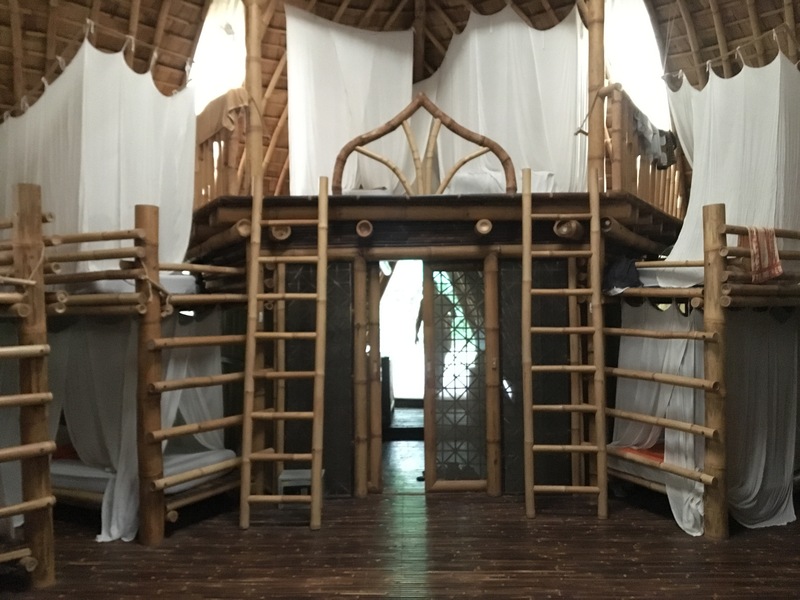 The costs here do not account for labor. 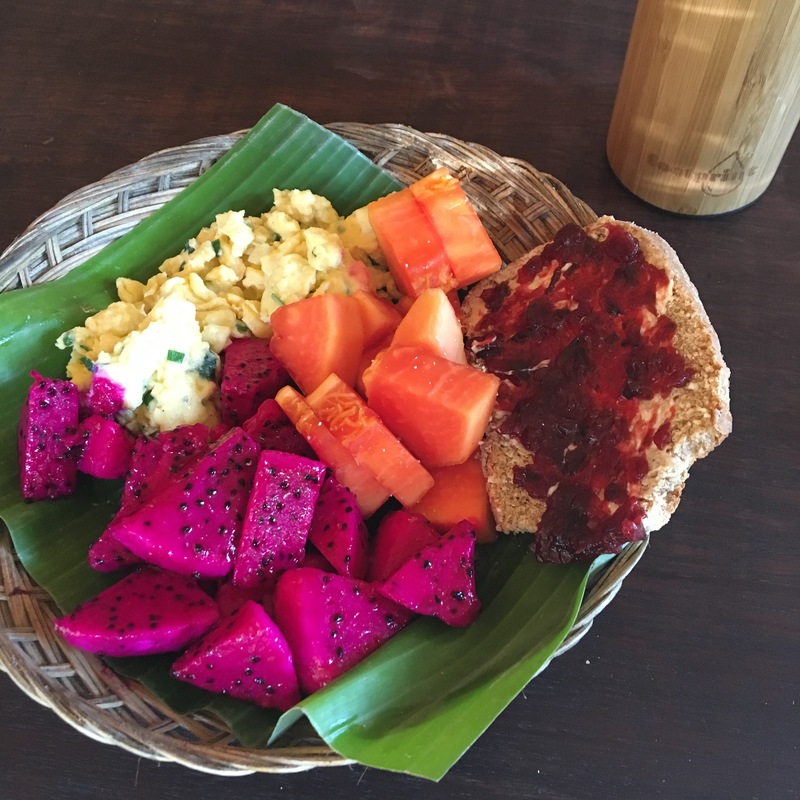 The majority of our food was sourced directly from the Kul Kul Farm on site - many authentic Balinese dishes added a cultural experience to the course and brought people together over love of fresh food. 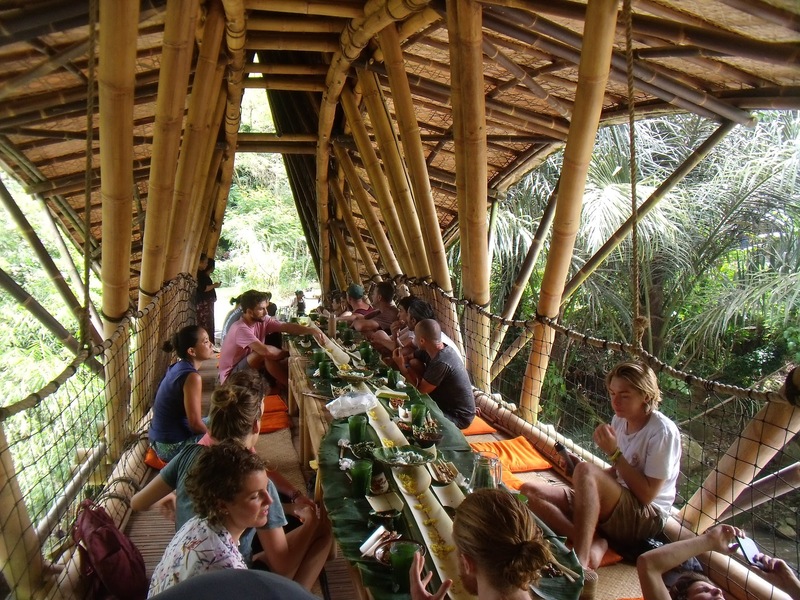 Many of us had sweet bamboo dreams in this beautiful bamboo building shown below. 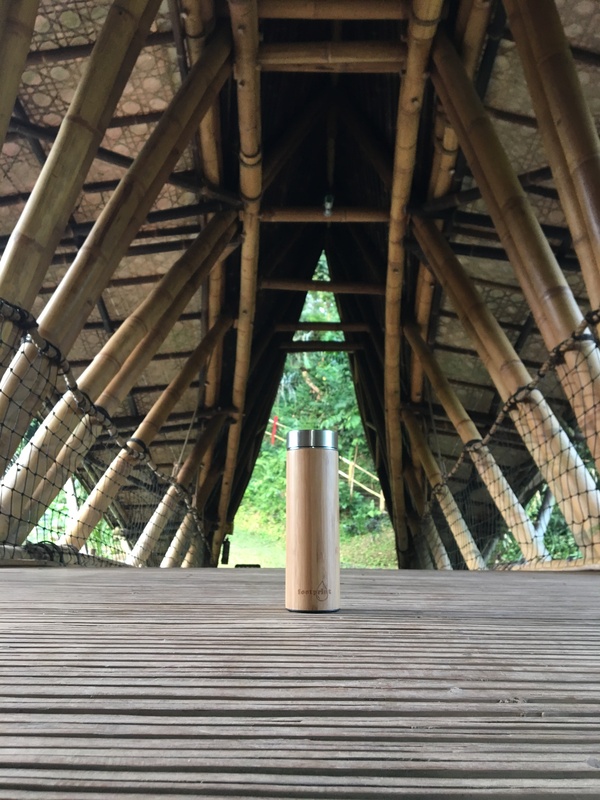 Others slept in bamboo yurts and cabins. 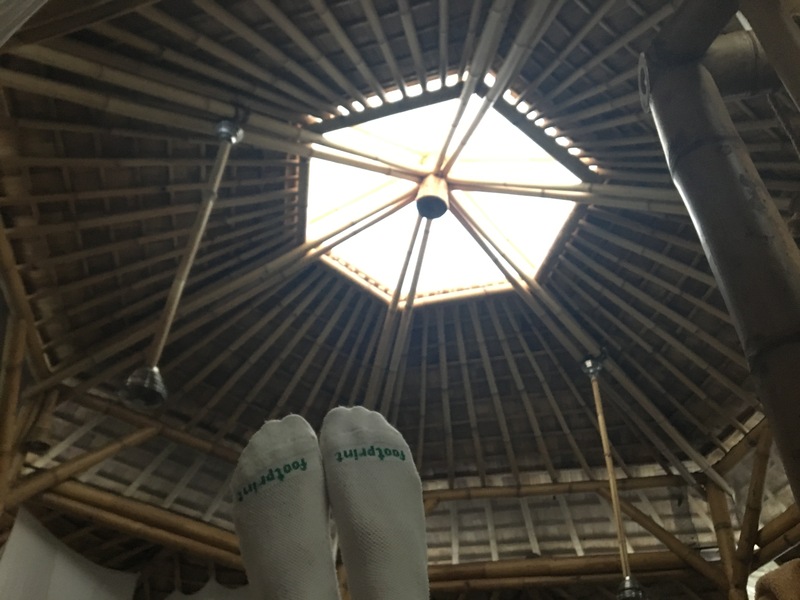 Email hello@footprintbamboo.com for anything bamboo related. 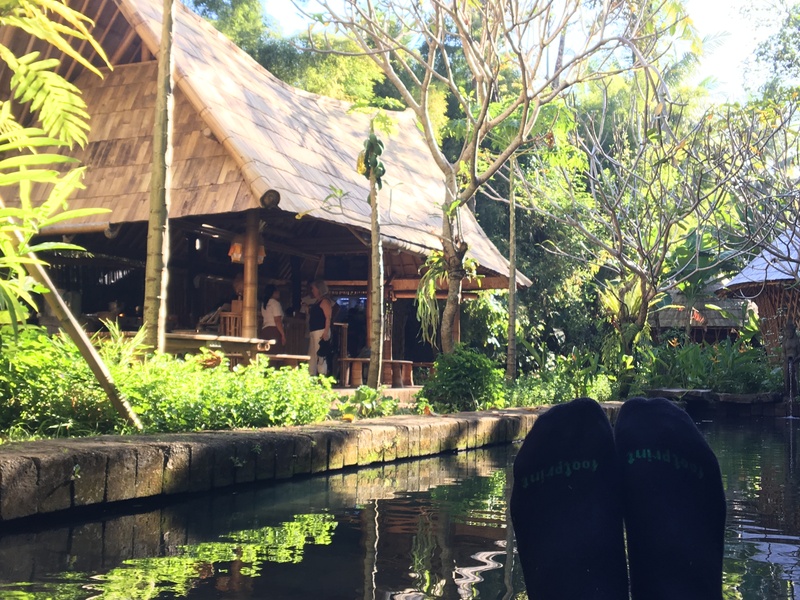 Use discount code "TeamBamboo" for 20% off www.footprintbamboo.com for bamboo socks, water bottles, straws, and more.